In a world full of selfies and 15 minutes of fame, how do we raise children who are motivated to succeed without rewards and recognition? How do we instill in them the importance of hard work and the value of feeling happy with a job well done? From an early age, many children begin to expect gifts or monetary rewards for accomplishing goals. This practice takes away the lesson of teaching children how to become intrinsically motivated. We want our now elementary students to one day work hard in college because they feel proud of turning in a great research paper, not simply do the minimum work required to pass the class. So, how do we raise children who have this intrinsic motivation? Here are 5 simple ways you can begin to teach your child that hard work is sometimes a reward in and of itself. Create situations in which your child can feel successful. Whether it is tying her own shoe, wrapping presents, or raking leaves, provide opportunities for your child to fine tune a skill and feel a sense of accomplishment. 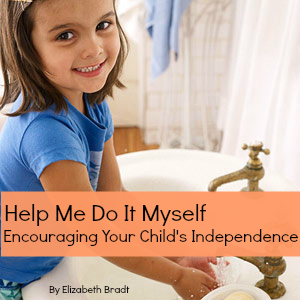 Speak with your children about personal responsibility, even at a young age. Children need to know that there are things in life they must do without a reward. Tasks such as putting dirty clothes in a hamper, finishing homework, or cleaning up from dinner are all responsibilities that children should be accountable for doing without the expectation of a reward. Give your child some level of autonomy. Allowing your child to choose (within a reasonable timeframe) when to clean his room or when to mow the grass empowers him to take more ownership of the task. This will lead to him focusing more on completing the task for his own personal feeling as opposed to completing the task simply to make the parent stop asking. Intrinsic motivation is a key attribute of highly successful people. Creating a household where motivation is driven by the joy of hard work instead of rewards will help your child develop the skills he or she needs to be a successful adult. Your child’s path to reading begins before he can even walk. Listening to your voice and responding to your words are your child’s first steps on the path to becoming a good reader. Talking is also an important skill that your child must accomplish before starting to read. Before you know it, your child will be picking up books and testing her new reading skills. As a parent, there are many things you can do to encourage your child’s love of reading and help him establish the foundation of a lifetime of reading. Start reading from day one. Establishing the routine of holding your child in your lap and softly reading a book will help your child associate reading with positive emotions. Talk, talk, talk. A child’s vocabulary grows based on the language he hears. With babies, give verbal explanations throughout your day. For example, “We are going to put on your red shirt now.” With older children, expose them to large vocabulary words and give them in-depth explanations when they ask questions. Explore the sounds of language. Young children love rhyming songs! Integrate these throughout your day. Older children are interested in words and letter sounds, such as noticing that two friends’ names begin with the same letter. Creating a reading-friendly environment. Make sure your child has a comfortable place to read with lots of books to explore. Staple blank pages of paper together so your child can create her own books. Integrate reading and writing into playtime, such as helping your child create a menu for a pretend restaurant. Explain how books and print work. As you read aloud to your child, point to words when you read them. Show them the difference between a book being upside down and right side up. Show them how to carefully turn the pages. Developing these concepts of print helps your child become a confident reader early on. Reading is a vital skill that can determine how successful a child will be not only in school, but also in life. There is a strong correlation between a developed vocabulary and the future earning potential of an adult. The best way to increase your child’s vocabulary is to get him reading. So, visit the library today and enjoy the journey of helping your child learn to read. Long summer days are full of fun and play. Swimming, riding bikes, summer camps, and sleepovers fill the weeks from May to August. During this time, research has shown that your child can lose up to 3 months worth of learning. Children can enter class in August with less knowledge than they had on the last day of school in May. Fortunately, parents can combat this so-called summer “brain drain” with a little effort and some planning. Turn vacations into learning opportunities. Read books about the beach before heading to the shore. Watch online videos about the Battle of Gettysburg before making the trip to Pennsylvania. Research different types of rocks and wildlife as you plan your trip to the Grand Canyon. Make learning fun and relatable for your child. Follow a book list. Check the local library for a reading list or a summer book club. Many libraries reward children for reading a set list of books during the summer. The website www.Scholastic.com has a summer reading challenge called Power Up and Read. It is free and will keep your child excited about books all summer long. Build a treehouse. Combine outdoor fun with construction by building a treehouse, a table, a bench, or anything else that requires the discussion of measurements, safety, creativity, planning and budgeting. This hands-on learning activity can be very beneficial for children. Write postcards. While on vacation, have your child write postcards to family and friends. This helps with handwriting practice and helps the child recall experiences from the trip. The small space is not overwhelming for children, yet is enough of a task to activate their brain. Have kids cook dinner. Once a child is 10 or 11, have him be fully responsible for dinner one night. This involves planning the shopping list, setting the table, preparing the meal, deciding on the dinner conversation topic, and cleaning up afterward. This will challenge the child’s math, organization, and life skills. Turn screen time into academic time. You child can learn how to build many things such as a zipline or a Nerf gun on the Make Magazine website, www.Makezine.com/kids. The Khan Academy website gives children the opportunity to earn badges and points as they watch videos on a variety of academic subjects. Keep in mind that children need a break from rigorous academics. Allow them to be kids in the summer. We’re not talking about daily flashcard sessions or quizzes after vacations. The key is to keep children thinking, problem solving, and being creative throughout the summer months. Your child will benefit from it and teachers everywhere will thank you for it! With the summer months ahead, our children will have lots of free time during the day. As parents, we have a choice about how our children spend these free hours on long days. Is the television a priority during the summer? Are we allowing lots of screen time on tablets, computers, and iPods? It can be difficult to pull our children away from the electronics, but it is important to try. Research shows that the average American child spends less than 30 minutes of unstructured time outside each day, and as many as 7 hours in front of an electronic screen. We need to reverse this trend. Our children can benefit greatly from time outside in the fresh air. Give your children these benefits by turning off the TV and opening the back door. A little known fact about outdoor play in childhood is that it can help develop your child’s distance vision and decrease the likelihood of a child developing nearsightedness. In one study, children with nearsightedness spent an average of 3.7 fewer hours outside per week than children with normal eyesight. Outdoor play boosts curiosity and creativity. Free-time outdoors gives children the chance to explore, create, build, and problem-solve. By having to use the items they have around them, they learn to be resourceful and figure out various ways to accomplish a task, such as building a bridge out of rocks or creating a fort out of sticks. These are lifelong skills that will help them be successful adults. Children who play outdoors have better balance and coordination than children who remain sedentary inside. Walking across tree roots, balancing on the edge of a flower bed, and jumping across stepping stones help develop gross motor skills that are essential for your child’s development. Outdoor play will help your child sleep at night. The outdoor light helps regulate your child’s internal clock and makes them awake during the day and tired at night. The green space has a calming effect on children and the physical exercise during outdoor play causes their bodies to be tired and sleep harder at night. So, enjoy the air conditioning during the occasional movie. End the day with time on the couch in front of the television. Spend a rainy day inside. It isn’t necessary to ban all television or electronics from your house. It is simply important to take note of how many hours your child spends sitting down in front of a screen. Your child will be more well-rounded and healthier if you encourage at least an hour of outdoor play time each day. As parents, we spend our time creating a home environment that best suits our young children’s needs, keeps them safe, and allows them to test their independence occasionally. We know our children are safe, cared for, and are thriving in our own homes, but what happens when it’s time to let them out into the world a little and send them off to preschool? Who can you trust? What is the best environment for your child? Where do you even begin when there are so many options? 1. Positive teacher/child interactions. Are the teachers down on the floor, at the children’s level, working on puzzles or reading books? Does there seem to be a positive energy in the classrooms with teachers moving around from student to student, showing genuine interest in what the children are doing? 2. Hands-on experiences. Young children learn best when they can feel, touch, experiment, and interact. Worksheets are discouraged by quality preschool programs. Students in a preschool setting should be provided concrete examples of 2 + 2 = 4. Whether it is counting sticks outside or adding beans in the classroom, math needs to be in the students’ hands at this age, not on a worksheet. 3. Large motor development. Preschool children need to move a lot! Look for a preschool that incorporates movement throughout the day. Frequent outdoor play is very important during these early years of life. Make sure the school provides a rainy day playground alternative so students are not required to stay in one classroom all day. 4. No televisions. School is a time for social interaction and intellectual development. Children generally get plenty of screen time at home, so quality preschools do not have televisions in the classrooms. Technology may be incorporated into the curriculum occasionally for specific purposes, such as watching arctic animals in their natural habitat, but regular television watching in a preschool should be a red flag for parents. 5. Quality kindergarten preparation. Teachers introduce students to the academic areas of language & literacy, math, science, social studies, and fine arts. Students are not memorizing facts or drilling with flashcards, they simply are absorbing new information as they go about their day in the classroom. This stage of parenthood can be daunting, but knowing what type of environment you want for your child can help narrow your list of potential preschools. Read the school’s website and learn about their philosophy before you schedule a tour. Ask the right questions, look for the little things when touring, and above all, trust your gut instinct as a parent. Deep down, only you know what is best for your child. does your child have a soul fever? As parents, we can often sense when our children have a fever just from a glance across the room. We recognize the look in their eyes. We have an instinctual feeling that has developed over the years. What can be more challenging for parents is sensing when their child is having what author Kim John Payne calls a “soul fever.” This is the overwhelmed feeling children develop as a result of living in an over-scheduled, over-stimulated, confusing world. It can be a toddler struggling with the birth of a new sibling, a teenager longing to fit in with the popular crowd, or anything in between. By the end of the day, you’ve had enough and you are struggling to keep your cool, make dinner, and break up a sibling fight. You think that having a peaceful home and peaceful children is a far-off fantasy that other people can attain, but not your family. Think again. Raising peaceful children is possible and is a realistic goal for your family. Making small changes in your behavior and your child’s daily routines can make a big difference in your home. Begin with these 5 steps and you will be on your way to a more relaxed home in which you can enjoy your children. It is the moment you dreamed of – the time your child relies a less on you for their everyday tasks. Unfortunately, it is also the moment you begin the power struggles over who is putting on your son’s shoes and who is brushing your daughter’s hair. This can be a time-consuming and frustrating phase for parents. Luckily, with a little preparation and planning, these years can be a time of positive growth for your child and a little freedom for you. 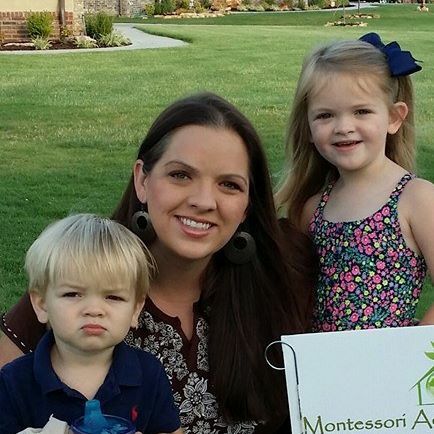 Ms. Elizabeth is our director and fully believes in providing each child an individualized education that allows freedom for creativity and imagination while still acquiring the necessary skills to be successful in the world.